UNDERSTAND WHERE AIR PASSENGER TRAFFIC ORIGINATES, CONNECTS AND ENDS, ANALYSE POINT OF SALE BY COUNTRY AND REGION. FORECAST TRAFFIC FOR NEW AIRLINE ROUTES AND MODEL THE ECONOMIC IMPACT OF ADDING THEM TO YOUR SCHEDULES. Using MIDT data (Marketing Information Data Tapes) our 'passenger traffic' stats are based on GDS bookings data and underpinned by OAG’s schedules database. Origin & Destination Report: Bookings and average fares on a given origin-destination with up to two connections. Segment and Load Factor Report: Bookings, load factor and average fares for flights on a given direct origin-destination route. Power Table Report: Fully-customised report of passenger booking and average fare data. Mix Report: Bookings and average fares for flights on a given direct origin-destination route, broken down by traffic type: local, behind, bridge and beyond. 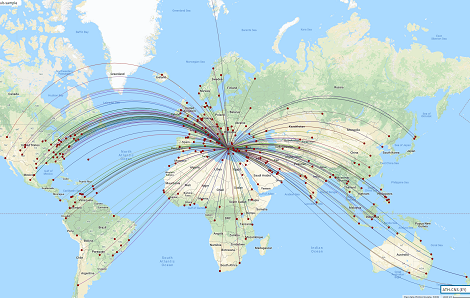 Connections Report: Bookings and average fares by cabin for flights on a given origin-destination through a specified connecting airport. 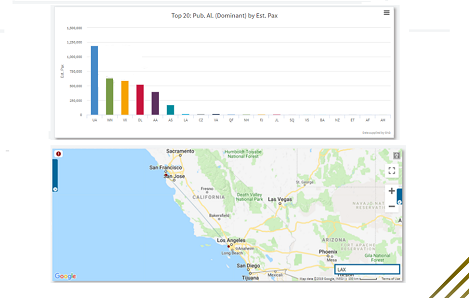 Top X Report: Top carriers, top departure/arrival airports, top routes, top hub airport and top point of sale based on various criteria (bookings, cabin types, total revenue, average fares). Bookings and average fares on a given origin-destination with up to two connections. 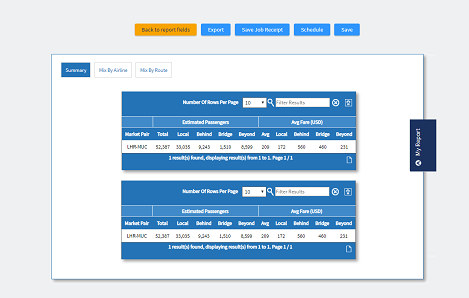 View the number of passengers, average fares and load factor for a route. Analyse the full traffic composition for a route. Search for all unserved routes to help build better business cases. 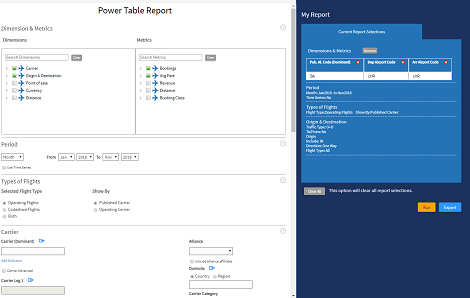 Dynamic table to create a fully customised report.